Extra-virgin olive oil decreases brain inflammation, staves off Alzheimer’s and preserves memory according to a recent Temple University study. Researchers used a well-established Alzheimer’s mouse model to investigate the effects of a diet enriched with extra-virgin olive versus one without it. 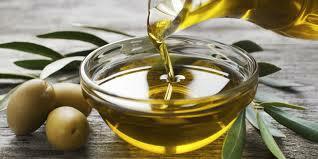 The olive oil mice performed significantly better on tests to assess memory and learning ability. The researchers then examined brain tissue from both groups and found dramatic differences. Amyloid plaques and neurofibrillary tangles, the pathologic hallmarks of Alzheimer’s, were significantly reduced in the olive oil group. Additionally the neurons of the olive oil supplemented mice were visibly healthier, with stronger connectivity.